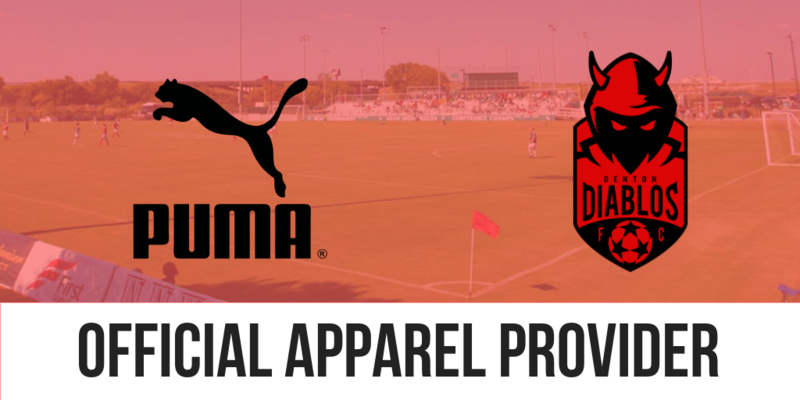 Denton Diablos » Diablos Partner with PUMA! DENTON, TX _ Some gear proves so iconic that it leaves a lasting impression on a person such as the way legendary soccer brand PUMA did on Denton Diablos FC owner Damon Gochneaur. 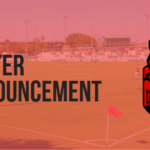 His personal attachment to the world-renowned soccer brand makes the new, 2-year uniform partnership between the Diablos and PUMA a dream-come-true connection for Gochneaur. “PUMA is an iconic Soccer brand that I’ve personally loved and worn for over 30 years,” Gochneaur said. “I remember vividly purchasing my first pair of PUMA King soccer shoes in the late 80’s and the feeling of pride that accompanies wearing them. Diablos coach Chad Rakestraw admitted that he too is a fan of the PUMA brand uniforms and gear. 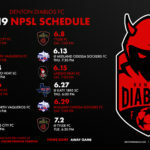 The Diablos are slated to begin play in the National Premier Soccer League in Spring of 2019. Denton will play its home matches at UNT’s Soccer Stadium.